The new Apple G4ium. Running at speeds exceeding 1.7GHz, the new Apple G4ium earns a SkidMark rating of 387,056,873,890!!! Wow, that's a lot! Many people have complained to us, "Apple, your computers aren't hot or noisy enough for serious use." Well, that's about to change. 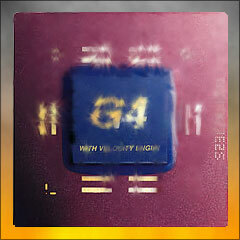 We've taken Intel's que, and ignored taste in clocking our PPC G4ium to well over the Gigahertz threshold. Sure, clockspeed and benchmarks are a misleading and inaccurate representation of a measure that is in itself dubious in real world value. But it sure sounds good! When pushed so far for simple hype, the processor becomes hot enough to cremate a big-mouthed congressman, so it needs some major cooling. 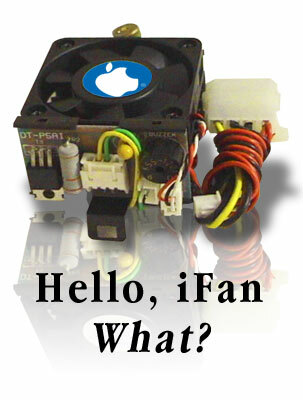 We introduce, the iFan. Apple's first high-performance cooling system. Previously, Apple rejected the use of overclocking and the necessary cooling systems, finding the noise, heat, and power consumption distasteful. Well, taste won't get you anywhere in the PC industry! The iFan (pictured above), weighing in at seven and a half pounds, with a noise level comparable to a Compton movie house, is Apple's new revolution in noisy cooling technology. With a slick matrix of high perfomace Peltier Junctions from the C&S Sales Surplus outlet, and a deafening jet engine of a fan, this is guaranteed to keep your computer running cool. Except in the Summer. Don't turn your computer on in the Summer. Trust us. The new Apple Chode Mouse. 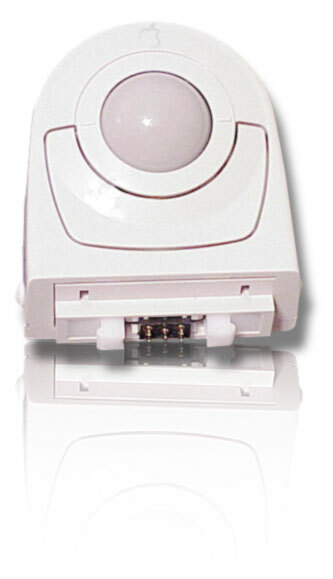 You'll feel like a total chode using this mouse. Designed with faux ergonomics by an engineer who mashed a lump of clay in his hand and went home early, the new Apple Chode Mouse provides hours of wrist straining fatigue. "It feels like my arm is on fire," remarked one satisfied user. With its gritty feel and jumpy tracking, it's almost impossible to move this mouse in a smooth line--but, man, is it cheap to make! It feels so light and hollow, it could've been filled with Bill Gates' wisdom! You get this free with every Mac you buy--that's right, we're giving this to you!